New life unfurls......quietly and secretly but always courageously. Year after year I am amazed that something so small and delicate as a crocus can push through even the hardest ground with a perfect mix of tenacity and quiet, breathless grace. I love crocuses especially, because they are one of the first secret signs of new life emerging after seemingly endless winters. When everything is still brown and lifeless, these tender buds of purple break the spell of winter and replace despair with hope. I think about the new growth surfacing in me. Sometimes it seems so small, so hidden away in secret and barely noticeable that it might not even count. But it does. IT COUNTS!! Every tender, green shoot that peeks through the sometimes cold, hard ground of life is a miracle I am meant to celebrate. And so are you. You may feel a little stuck right now in that in-between phase between winter and spring where there is so much potential, but nothing seems to be happening. It's brown and dusty and new life still waits to unfurl. Please don't discount the crocuses......the tiny buds in your life that are easily overlooked and sometimes even stepped on. Don't miss the real wonder of it all --that new life is springing up all around in you. Nothing can keep it back. There is so much green just about to unfurl. 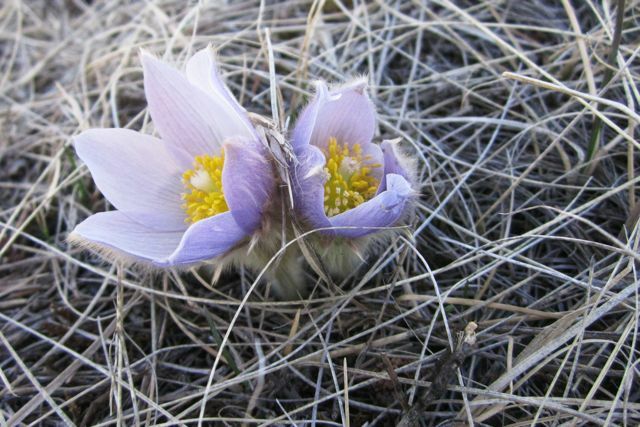 Don't give up hope and be sure not to step on the crocuses.